I borrowed a fellow sergeant’s marked Tahoe for the execution of a search warrant last week. 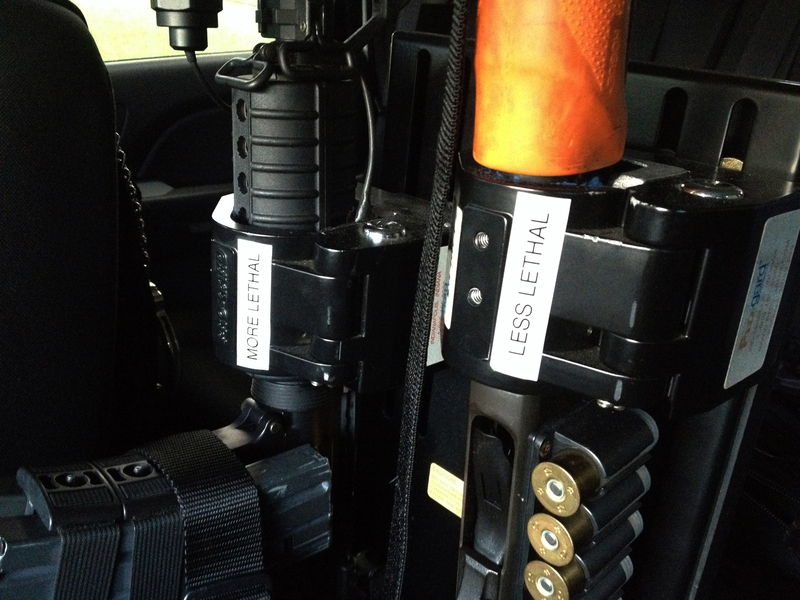 As I was checking out the rig, I saw these impromptu labels on his gun rack. Guess I can’t argue with that. This entry was posted in Firearms, Humor and tagged Less Lethal, Police Rifle, Police Shotgun. Bookmark the permalink.